Summertime is a superb season to observe the skies at the Kielder Observatory, the cold winter and misty spring skies have now receded into summer time and with it warmer nights heralding a change in the skies... No longer do we get the inky black dark skies, they are replaced with a million shades of faint, pale blues and orange. All but the brightest stars have faded away as the sun dips a mere 15 degrees below the northern horizon. For many astronomers summertime is the best as it brings warmer nights and atmospheric phenomena only seldom glimpsed, in addition summer brings the planets back into our skies. Weather permitting, we'll have our comfy two-seater "moon chairs" out on the deck with blankets for you to snuggle up under what must be the most inspiring and romantic views of the night sky. Within the observatory we will reveal distant objects through our large aperture telescopes including planets, star clusters and bright stars all with the expert guidance of our friendly and knowledgeable astronomy team. 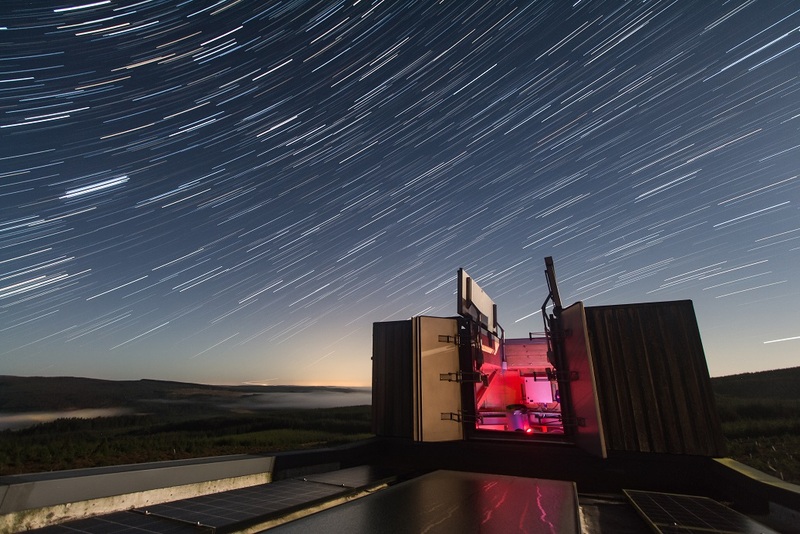 Based on your feedback we have reduced the number of visitors for this event to 20 spaces to ensure you get maximum time at the telescope and an intimate observing session with our most experienced astronomers.